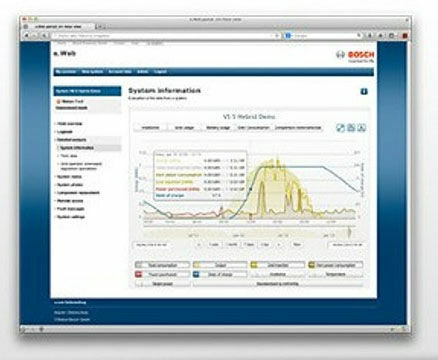 e.Web is an innovative Internet portal for the monitoring and analysis of PV systems with solar components from Bosch. The efficient remote monitoring also ensures maximum operational reliablility. The sustained power generation can be experienced and rendered transparent thanks to the graphic visualisation.